I have been with YC for 4 years at the San Pedro – Cabrillo Beach location. 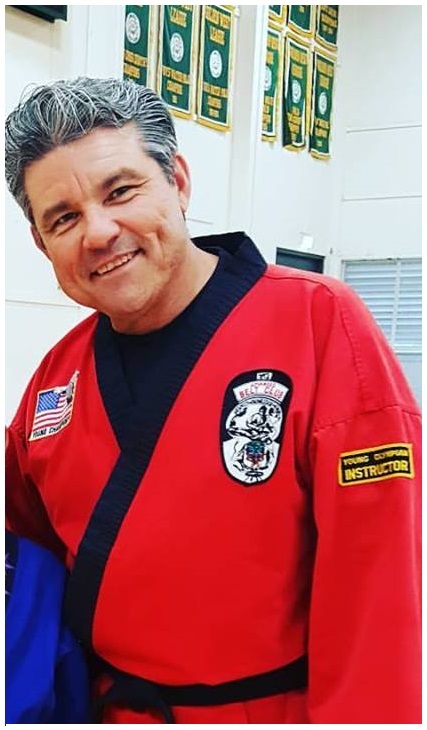 I have been teaching martial arts in general for about 15 years. I have earned a black belt in Judo and in Karate. I have trained in Krav-maga, Tae Kwon Do, BJJ, boxing and Mix Martial Arts. I enjoy playing golf and going to the gym because these two activities allow me the opportunity to make new friends. I’m currently on a mission to become more IT knowledgeable from the back and front end. For me the best part about teaching is to see my students realize that they can learn the self-defense techniques we teach them and that they can do pushups when they thought they couldn’t. Their self-confidence and esteem grows with every session! I also love seeing my students’ faces light up at the tournaments when they do well and be awarded with a trophy or medal, which makes it all worthwhile. Something else I like about being a karate instructor with YC is when my students are promoted to full black belts, they choose to come back and be my assistants. I currently have 5 black belts who assist me, they do such a great job! On a more personal level, I am a part-time business administration instructor at Nobel University. I have earned a Bachelor and MBA. I am a licensed real estate professional and also work in the real estate industry. Early on in my martial arts career I worked as an executive protection specialist, this was something I enjoyed very much! !